Max Press Foundation Repair offers house leveling, foundation repair, house lifting and more. Our qualified engineers lay the groundwork for solid projects, every time. We leverage over 20 years of experience to deliver superior service and quality workmanship. Take your next job to the Max! 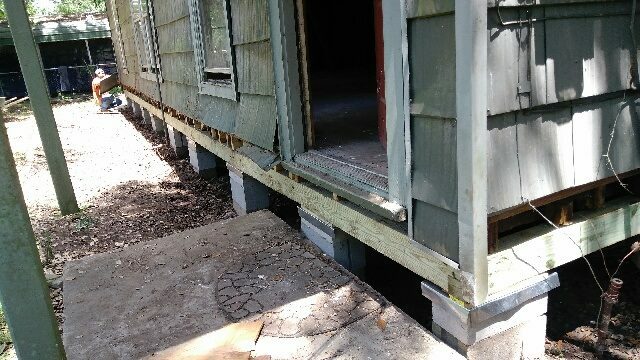 Max Press Foundation Repair has been serving clients with house leveling in Brazoria County, TX since 2008. We take pride in providing top-quality customer care and precision foundation services to customers of all types and homes of all sizes and styles. Our clients receive personalized attention to ensure complete customer satisfaction. Our qualified engineers offer industry-leading knowledge to ensure every job adheres to top standards. With our seasoned professionals on the job, you can rest assured you’ll enjoy optimal results. Contact our expert team for house leveling, foundation repair, digging, house raising and house lifting. No job is too big or small for our foundation specialists. Max Press Foundation Repair is affiliated with the Better Business Bureau (BBB), HomeAdvisor and the National Association of Realtors. As a trusted industry leader, we are the go-to professionals for house raising in Brazoria County, TX. Realtors rely on our expertise to prepare homes before placing them on the market for sale. Homeowners rely on us to get the job done right, the first time. And, the community relies on us to continue providing the quality service we’ve been known for since our founding day. We invite you to join our long list of satisfied customers and see how we can restore the stability and efficacy of your home’s foundation. Our business is proud to be locally-owned and -operated. Our team includes qualified engineers who ensure all projects are to code. We are affiliated with the Better Business Bureau (BBB), HomeAdvisor and the National Association of Realtors (NAR). We partner with real estate professionals to prepare homes for a solid sale. We offer free estimates on all repairs, to ensure upfront, honest rates. Contact the foundation experts at Max Press Foundation Repair for sound work you can count on. We’re restore stability to your foundation, to ensure it’s stronger than ever.